You may have heard the old saying, “When life gives you lemons, make lemonade.” Today back in 1974 God took it to another extreme and caused something good in nature out of something bad. A landslide in a province of Peru came crashing down on homes, farms, businesses and whole villages. By the end of its destruction, though, a natural dam was made. He knew what was going to happen that day. He knows what is going to happen to you today. When your world is crashing in on you, just wait. There may be something downstream for you to enjoy. This same God we serve that allows the turbulent rapids of life can also calm the waters. As some of you know by now, I am an old fashioned baseball fan. When I have a chance to attend a local minor league game or go down to Atlanta to see the team, my family knows that I pay attention to the game. The kiddy rides, the antics down on the field between innings, and other side attractions do not interest me in the least. I am there for the game! But it does get a bit boring when the game goes 20 innings. Many players change positions in those long games, The method I use to keep up with some of them is looking not only for their number but also their names on the back of their shirts. Maybe because of these marathon innings that on this day in 1960 that all the baseball uniforms were required to display the names of the player’s on the back of their uniforms. It sure does make it easier to know you have the right person or not when you cheer or complain! Aren’t you glad that your Heavenly Father doesn’t stipulate that you have you to wear a uniform with your name on the back of it just to keep up with you? The writer in Psalms knew this well. He reminds us that God knew you before you were born, and he will know you when you leave this earthly home. When you join the Lord’s team, he also doesn’t mind the time. You have all eternity with him. He is no big hurry to finish the game. Thank goodness! 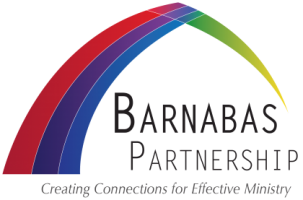 Welcome to the new Barnabas Partnership website. Please excuse our mess as we are in the process of moving content over from the old site and adding new content. Our site should be fully back up in the next few days. In the meantime, if you have any questions about the Partnership, please contact Steve Zimmerman. When You Don’t Get RESPECT! Don’t be fooled on the calendar. If you live in the Old North State called North Carolina, it is Independence Day! You may have a hard time though finding fireworks to commemorate the occasion today. For those of you not familiar with the state’s history, there were a group of folks meeting in Halifax, North Carolina and adopted the paperwork for independence from the British on this day in 1776 just a few months ahead of the declaration made in Philadelphia. It is called the Halifax Resolution. If you look closely at the state flag, you will find this date printed on it. Native Tar Heels are very proud of this accomplishment. But somehow this gathering didn’t get the same billing as the one in July of the same year. It has become a brief side note in history. The people who took great efforts in putting this resolution together may be sad to know how they were treated over the years. Yet they may take some comfort in knowing that even though they may not have been recognized as the Philadelphia group they still did the right thing. When you go around doing the right thing today and don’t get noticed for it, just remember it is not the first time this ever happened to someone. Keep being faithful to your calling in helping people become free from their lives of sin. The ones you help are paying attention and that’s all that matters anyway. One of the most interesting men of the 20th century passed away this day in 1959. Some of his work is still around. The mark he left on our society was in the form of buildings. He definitely changed architectural thinking. This person was none other than Frank Lloyd Wright. He enjoyed getting out of the “box”. People may not have rushed to his work early on in his career, but what he did was unique. In time he had his own design and folks began to understand the logic in what he did. You may be afraid of getting out of your “box”. Let God’s example of the Easter resurrection be your guide of doing things in an unconventional way. Just don’t let your uniqueness go to waste. Find ways today to use what God has given you to lay new foundations for his Kingdom. People may not understand but the Master Builder does! It’s just not fair! They teach you to do it faster and you get the hang of it and then someone comes along and changes the routine. Whether it is a chore at work or a new technique in how you live at home, this new style is just down-right frustrating. No foolin’! One of the best in sports who could fool a lot of people was born today in 1939. In his prime, Phil Niekro, the major league baseball knuckleball pitcher for the New York Yankees and Atlanta Braves, was the master on the mound who could make hitters beg for mercy. It was not that he threw a ball by them at the speed of sound. On the contrary! His lobs were so much slower and unconventional that even his catchers were worn out trying to catch for him before he was done pitching! He got the hitters out of rhythm with their swings. By the time they adjusted to this new pitching method, it was “Strike Three – You’re out!” When I would hear that he was pitching during a television game, I made sure I dropped everything just to see his style. He was a sight to see. We can be reminded today that we don’t have to be fooled by the world to think that we have to be the fastest anything to get ahead in life. Phil used what was natural to him to become one of the best pitchers of his kind in the big leagues. In the Kingdom of God, our Heavenly Father wants you and me to use our gifts in whatever form they come to us. Go ahead and give these gifts over to the Lord to bless and use today to advance the Good News. The world will take notice and then we are nobody’s fool!